Atlanta, GA: On November 15, 2104 Shiv Mandir of Atlanta performed the annual Sri Ayyappa Padi Pooja, or the pooja of the Pathinettam Padi, in the name of the 18 Hill Gods of Lord Ayyappa. Guru Swami Kiran Mudigonda was once again instrumental in the 5th year celebrations. 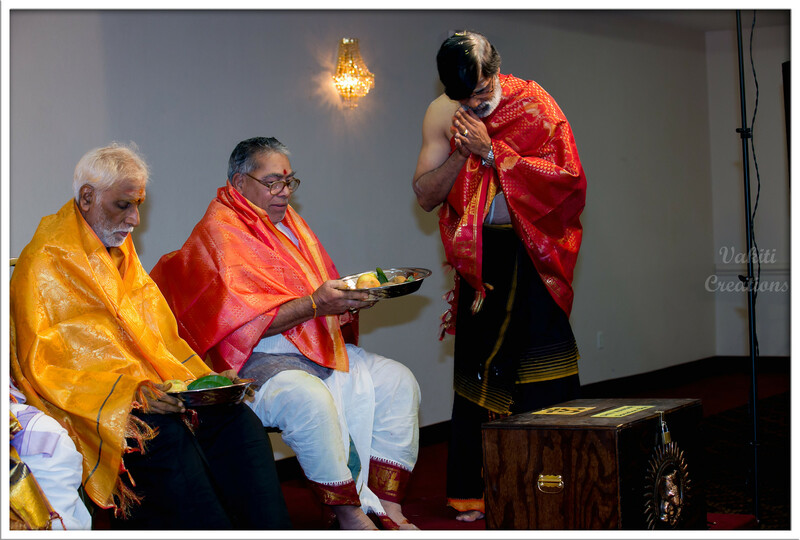 More than 500 devotees fromAtlanta,Tennessee,Knoxville,Maryland, andCharlotte attended this pooja. Shiv Mandir priest Pandit Santosh Duddilla started with the Ganesh Pooja following which Retired Military officer Guru Swami Chandrasekhar fromHyderabad performed the Ayyappa pooja followed by the Padi Pooja. Devotees were blessed to see the pooja performed by Guru Swami Chadrasekhar, who has been performing the Ayyappa pooja since 1968. Srinivas Sarraf Swami who came fromVirginiatook the lead in performing Ayyappa abhishekam along with other localAtlantaswamies. People from different communities (Kerala, Tamil Nadu, Karnataka, Andhra, Kashmir, Punjab andSri Lanka) attended this celebration and made it a huge success. Melodious bhajans were performed by Atlanta Sampradaya Bhajan Mandali with Subra Viswanathan and team. The 18 Holy steps are the holy pathways for the Jeevaatma to reach the Paramaatma. Jeevaatma has to cross the 18 virtues to merge with paramaatma. The Holy steps 1, 2, 3, 4, and 5 represent the five panjendriams: (smell, hearing, sight, taste and touch). The Holy steps 6, 7, 8, 9, 10, 11, 12, and 13 represent the eight ashtaragas: kamam, krodham, lobham, moham, madam, matsaryam, thanbha and asuya. The Holy steps 14, 15 and 16 represent 3 Gunas: Thamas, Rajas and Satva. The Holy step 17 represents vidya and the Holy step 18 represents avidya. By observing stringent vruthams (austerities), the Ayyappa devotees called Ayyappas and Malikappurams, purify their body, mind and intellect and achieve the ultimate sanctity to make pilgrimage to Sabarimala carrying on their head the Irumudi containing the Pooja items, to climb the 18 holy steps and have the Darsan of Lord Ayyappa. “Shiv Mandir of Atlanta is very happy to perform the Padi Pooja for Lord Shiva’s Son Ayyappa every year,” said Ram Sahani, President of Shiv Mandir of Atlanta. Sahani personally thanked all the sponsors and volunteers as well. “We are excited to share that the construction of the building will be starting in December of this year at890 Peachtree Industrial Blvd.,Sugar Hill,GA30518. 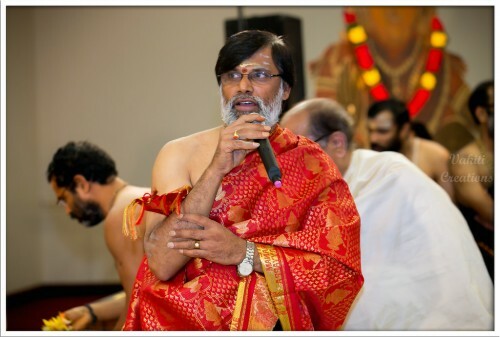 We encourage our community to visit our temple and learn about the development of Shiv Mandir of Atlanta,” he added.